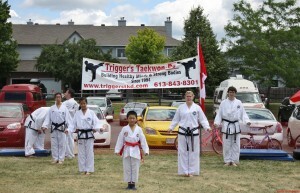 I felt proud when Trigger’s TKD invited me to join their demo team to do a demonstration on Canada Day. 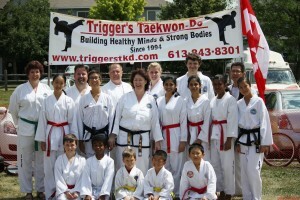 I train at Blackburn TKD under Mr. LeGrow but Ms. 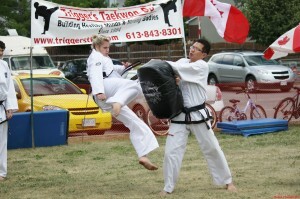 Trigger was a huge help to me when I was training for the last World Championships. 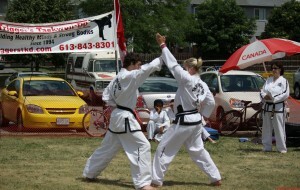 She coached me in Power Breaking and allowed me to use her dojang for extra training on my own. 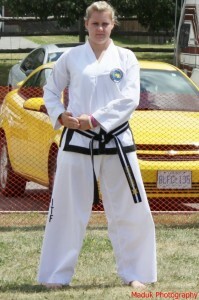 Her dojang members were also extremely generous with donating items for my silent auction at my fundraiser. I was impressed with how many hours the entire demo team trained to prepare for the demo. We did two performances and each were about 30 minutes long. Hopefully some of the spectators liked it enough to join the school. 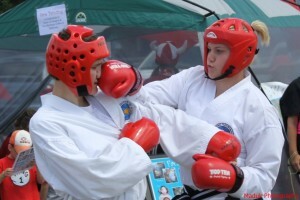 Taekwon-Do has so many benefits to young kids and it’s something that you can do at any age in life. 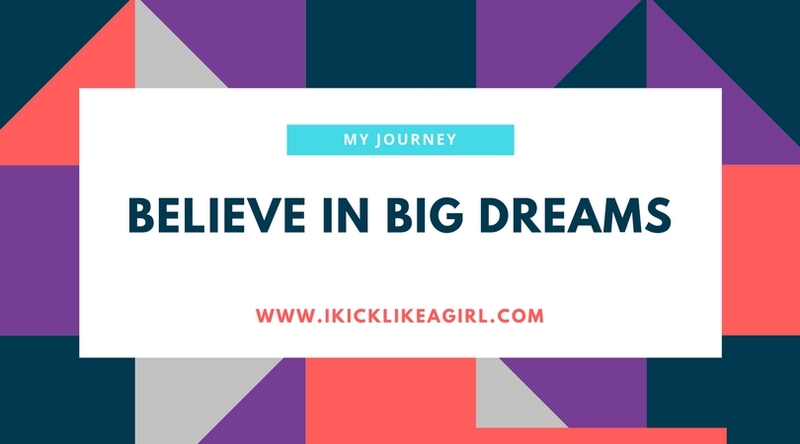 A lot of people like it since you don’t have to ‘make the team’ to be involved so it includes everyone. You get as much out of it as you put into it. I was asked to do a 3rd degree black belt pattern by myself. 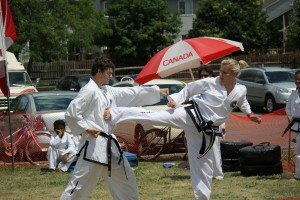 I also did some demo’s on different kicking techniques, step-sparring, sparring and another team pattern. 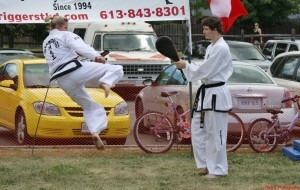 The other students also did a lot of self-defense, board breaking and other patterns. 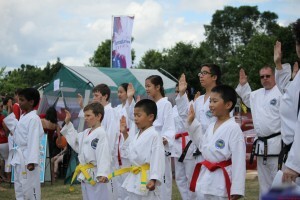 We tried to represent all aspects of TKD.